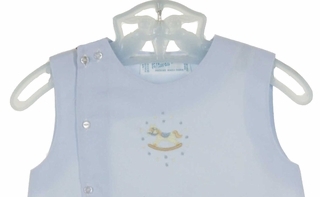 This sweet little blue diaper set was made by Feltman Brothers. 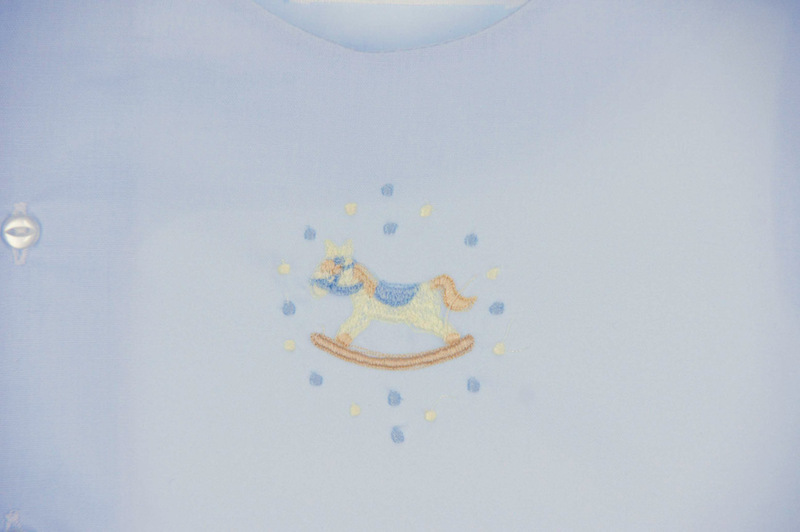 The sleeveless top features an embroidered rocking horse on the chest. The top has a buttoned front side closure. The matching diaper cover has an elasticized waist and partially elasticized leg openings for a good fit. Note: This darling diaper set is also available in white. See below.